We are beyond excited to announce we have launched our newest collection of designs inspired by women of color, The Fierce Lady Collection. 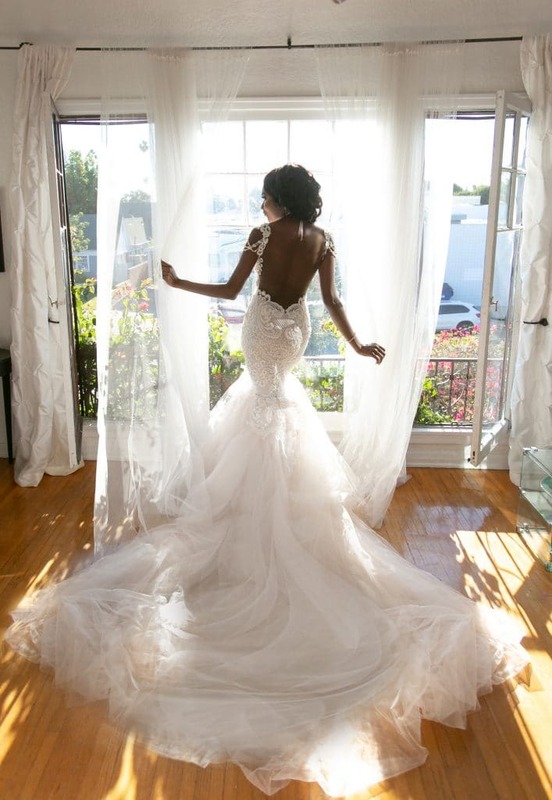 We have worked to create new silhouettes and design features that will empower women of color by offering a revolutionary illusion mesh, allowing us to extend the diversity of our designs to even more brides across the world. 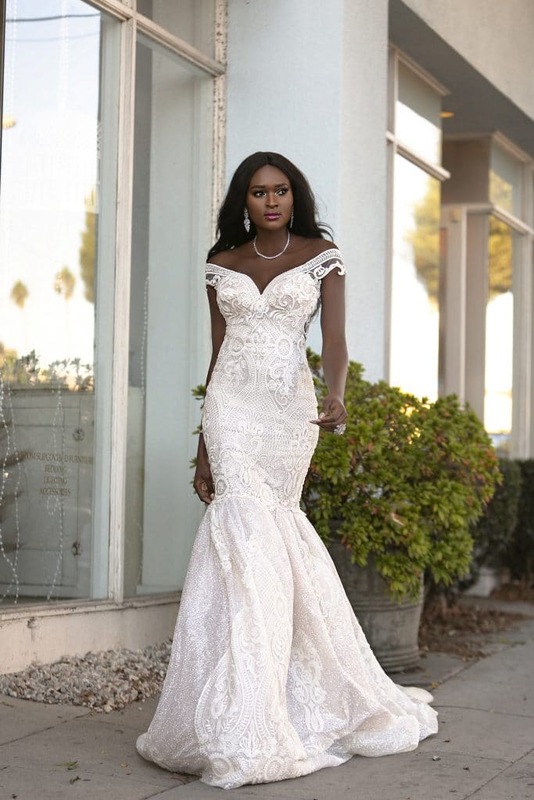 We already guarantee brides perfect size matching for their gowns as each gown is custom made to the individual bride’s measurements, but now we are also able to guarantee illusion necklines that match women of all skin tones. 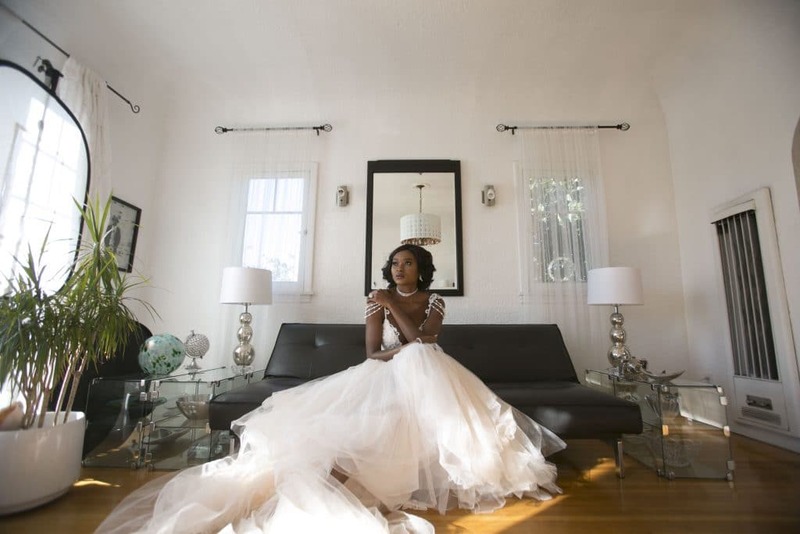 These gowns are customized to color match and to ensure inclusivity, making sure every bride feels represented and beautiful in her one of a kind gown. The Fierce Lady Collection will be available through any of our thirteen retailers across the globe that currently carry Naama & Anat Haute Couture. To ensure that any bride can purchase a Naama & Anat gown, we have also recently launched the option for brides to work with us directly through our website if you do not have access to a local retail location. Behind the scenes of the photoshoot: Get to know the creative team! A photographer at heart since the age of fourteen, Loreen started out working for her father Sam Sarkis as just an assistant. Sam has lived out his dream capturing the special moments of people from all walks of life for almost 30 years. Throughout the years, Loreen had the chance to learn from both sides of the lens from one of her most influential mentors about what photography was all about. Lessons in lighting, composition, and the professional business side were trades that Loreen was immersed within both a collegiate setting and a family setting. Under Sam’s guidance, she grew up to become his second shooter and since then has been shooting weddings throughout the United States and has become an immense part of her father’s brand, Sam Sarkis Photography. Loreen decided to expand the family’s notable Michigan based brand across the country to launch their international brand, Sarkis Studios in Los Angeles. What was your vision for the shoot? Loreen’s vision for the shoot was to create something simple, editorial and fashion forward. Loreen states, the father-daughter team has recently expanded to the west coast and would love to begin shooting weddings internationally. Doug took photography in high school and a video production workshop at the local community access television with a cable company. He didn’t really begin to dive into photography until 10 years after studying it. His business started by taking family portraits of family and friends. It wasn’t until they began to ask how much he would charge did he realize he can turn his hobby into a business. Before launching his business, he decided that he needed to learn the photography business inside and out. Doug reached out to all the photographers whose work he admired for a potential internship and who was willing to teach him their trade. Luckily, Roneil Chavez was kind enough to take him under his wings by showing him the business and photography side and also brought him into his network of photographer peers. Two years later Doug launched his own wedding photography business. Soon after that couples were inquiring about videography. He has always shot video as a hobby as a way to document. Due to the amount of video request, Doug decided to switch his focus to videography. He started out small, beginning with shooting birthday parties then built his way up to weddings. His goal for every wedding is to capture all the raw motions where the viewers feel like they are there in the moment with the couple, every time they watch the video. Doug’s goals for the future is to build a production team and put out amazing cinematic wedding videos with a worldwide following. Also, to produce creative and amazing bridal design videos to build a name for himself in the bridal fashion industry. After decades of developing a passion for estate and vintage accessories, Margaret launched Margaret Rowe Couture in 2003. Rowe is known internationally for her artistic, luminous jewelry designs and a refined collector following that spans the globe from celebrities to bridal to red carpets. Captivated by the glamour of old Hollywood’s artistry and the allure of contemporary Hollywood’s red carpet pageantry, Margaret executes her designs with the belief that ‘Every Woman Is A Star’, deserving of the accoutrements that glamorize life. “I have always been enthralled with the provenance and design excellence of estate jewelry. My passion is styling with accessories that merge fashion, beauty and timeless elegance. I believe that every woman is a star. I strive to create style that contributes to the sparkle of romance that illuminates the star in each of us,” comments Rowe. Tolu is from Nigeria and moved here only 7 years ago who hit a growth spurt at age 13. Tolu often stood out in class. Teachers would often make comments like: “Take a photo of the girl of the class, girl of the year”. Her instructors then began encouraging her to compete for inter school competitions. Tolu’s parents didn’t really agree with her choice to pursue a career in modeling, they advised her to be either a banker or a doctor. She felt lucky enough to able to model while in school. One day her parents saw a Nokia ad with her in it while she was school. They furiously drove down to the school and confronted her. After a long discussion they agreed to let her purse both goals. Tolu then made the big leap to move to the states just to be told she was “too chunky” to be a model. But that hasn’t stopped her from pursuing her dreams, she made a conscious decision to model for portrait photography, Sue Brice, etc. Tolu would love to have her own line of ready to wear dresses that celebrate black women. Red carpet gowns/dresses/special occasions, etc. Rodney Jon was initially an auto mechanic with a degree in fashion. He chose to pursue a career at Aveda as a sales associate and eventually became their store manager. If he would not have gotten that position, he would have never been inspired to work in New York Fashion Week with Mac and Bobby Brown. Rodney later became working freelance in order to be able to work for film, tv and of course fashion. Rodney wanted to go for a timeless look yet glamorous and high fashion. He focused on pulling out her cheek bones and playing up her chocolate tones. His favorite feature was the golden highlights in comparison to her skin. He wanted her skin to pop as soon as the light touched it. He would love to own his own agency for makeup artists and possibly start a school. Rodney would teach them aspects of the business they don’t normally teach in a school setting. He also has a hat line and would love to combine his hat line with his makeup collection. Derrith Mitchell began as a dancer. He would often go to the barber shop yet hated the way barbers would cut his hair. He learned to do hair by simply watching the barbers cut his own hair and would then go home to practice on his brothers. Derrith went to cosmetology school and then moved to LA in 1998 and got first gig on set as a hairstylist. Derrith’s vision for the shoot was clean and sleek. He was honored to be the first to do this for this campaign and he wanted to make sure that she looked flawless to represent the first designer to make mesh for women of color. Derrith has done a few movies but would like to work more in feature films. He would also like to be the first black person take over the wedding industry!